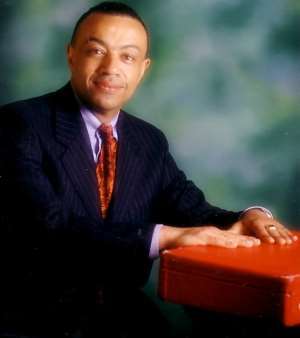 Accra, Feb. 14, GNA - Ghanaian born British Member of Parliament and Chief Secretary to the Treasury, Mr Paul Boateng would pay a two-day visit to Ghana from Tuesday 15 to Wednesday 16 February, the British High Commission announced on Monday. A statement said Mr Boateng's visit was part of regional tour, including Mali and Nigeria, during which he would be highlighting international commitment to Africa as a key priority for the UK Presidency of the EU and the G7/G8. "He will also take the opportunity to discuss priorities for the Commission for Africa (CfA) when he calls on President John Agyekum Kufuor ahead of a round-table discussion with civil society. "The latter will enable consultation with key African stakeholders on the formation of a CfA policy and the next steps following publication of the Commission's report in March." The CfA has been set up by Prime Minister Tony Blair to make real progress on the challenges facing Africa, focusing on disease conflict, governance, trade, peace and security, aid volumes and aid effectiveness. The statement said Mr Boateng would also meet with the Finance Minister and Economic Planning, Mr Kwadwo Baah-Wiredu on the cancellation of 100 per cent of British multilateral debt. Ghana is one of 19 countries to benefit from the multilateral debt initiative, which focus on an excess of 65 million pounds of direct aid provided to Ghana by the UK last year. Mr Boateng will also meet with the Foreign Minister, Nana Akufo-Addo and visit a complex of primary schools in Teshie likely to benefit from a planned British Department For International Development investment of 50 million pounds, over five years for the education sector and facilitating national efforts towards the achievement of the Millennium Development Goals of universal primary education and gender equality. This will be Mr Boateng's second visit to Ghana since he became the Chief Secretary to the Treasury in 2002. He was previously Financial Secretary to the Treasury, 2001-2002, and Minister for Home Affairs, 1998-2001 and previously Parliamentary Under Secretary of State at the Department of Health, 1997-98. He joined Parliament as Member for Brent South in 1987. His career in Opposition included stints as spokesman for the Treasury and Economic Affairs 1989-92 and the Lord Chancellors Department 1992-97. He also served on the Select Committee for Environment 1987-89. He was educated at Achimota, Accra Academy, Apsley Grammar School, Bristol University and the College of Law. He was born in 1951. He is married and has two sons and three daughters.